November is when is we at l’École Fula Flute reach out for your help to continue our music education work in Guinea. In the next few weeks we will be sending many communications about what we do, where we come from, and where we want to go. Thanks to your help, last year we could leave the streets and bring our activities to an ideal place with a large enclosed courtyard. Now it is humming with activity from morning to night, and six days-a-week classes in French, arithmetic, social sciences, theatre and music are happening there. Our dedicated students often perform plays and concerts for the community and official events (such as the Presidential inauguration). Also, beyond the benefits of the education that our students receive, we contribute jobs for artists, educators, administrators and support personnel, we purchase goods and services, and are anchoring a respectable institution, beneficial to the community. 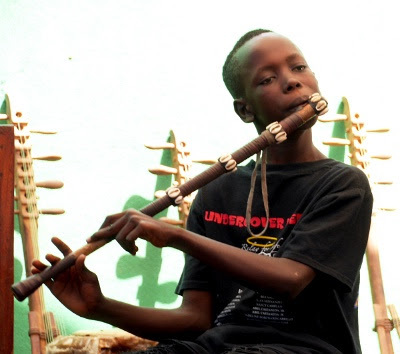 This entry was posted in Africa, Music Education, NY Musicians and tagged Guinea, l’Ecole Fula Flute, Sylvain Leroux on November 3, 2017 by Sohrab Saadat Ladjevardi. One of the key discoveries from our years of music business research is: musicians who are successfully making a living off music approach their business and art differently than most musicians. Rather than focus solely on selling tracks or playing live, they instead broaden their thinking and work to create more income streams off of what they do. This entry was posted in Music Activism, Music Education, Musician Issues and tagged #MakingMusicIsAProfession, Jason Feehan, Randy Chertkow, The DIY Advisor, The Indie Band Survival Guide (2nd Edition) on October 5, 2017 by Sohrab Saadat Ladjevardi.